Brrr…! There’s a nip in the November air these days. Must mean the holidays are just around the corner. 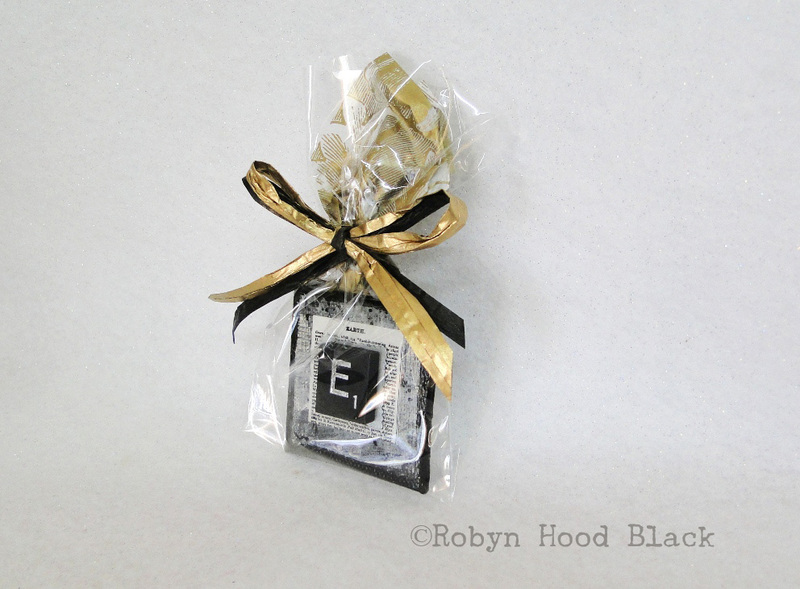 Have you made your gift list yet? You get the idea! 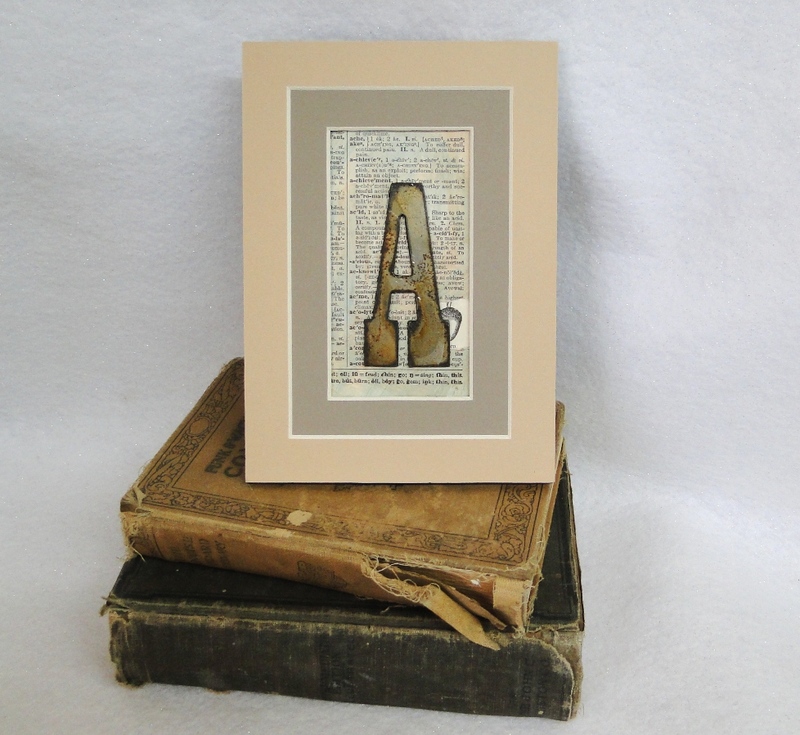 These are small (1 1/2-inch) metal letters, made by an artisan out West, presented on vintage 1930 miniature dictionary pages (with corresponding letter). 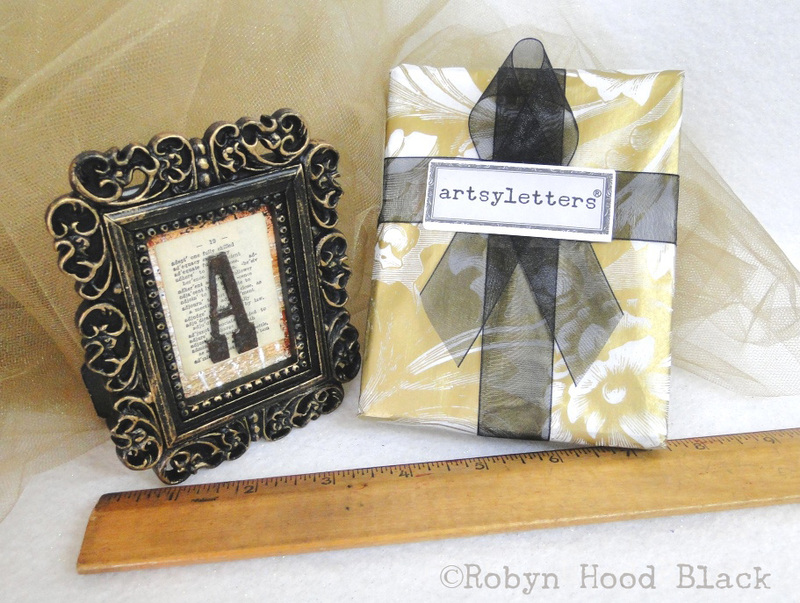 An antique gold resin Kate Aspen tabletop frame surrounds the mini mixed media collage. The frame measures 4 1/2 inches by 3 3/4 inches. 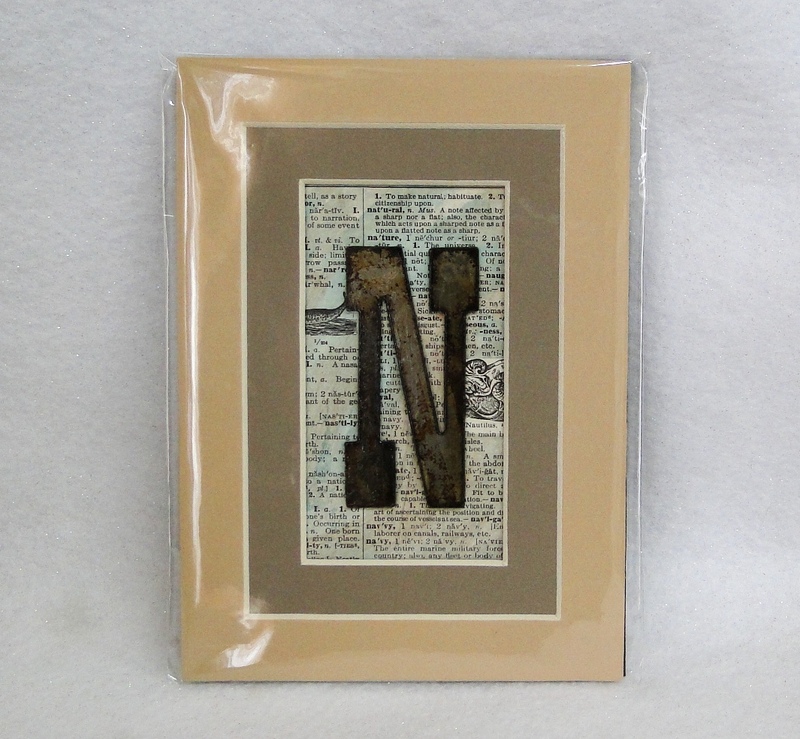 They are double-matted to 5 inches by 7 inches, featuring a 3-inch rustic metal letter on a vintage dictionary page. I add a slight wash/gloss to the page, and leave an illustration unwashed for interest. Will be listing these soon! Or convo me if you have a special request. 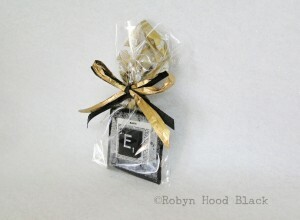 What about stocking stuffers or thoughtful tokens? 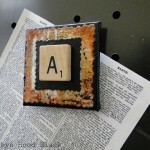 I’ve got upcycled Scrabble tile magnets with handpainted backgrounds in every letter. (Will finish getting these listed ASAP! They are $4.95 each.) 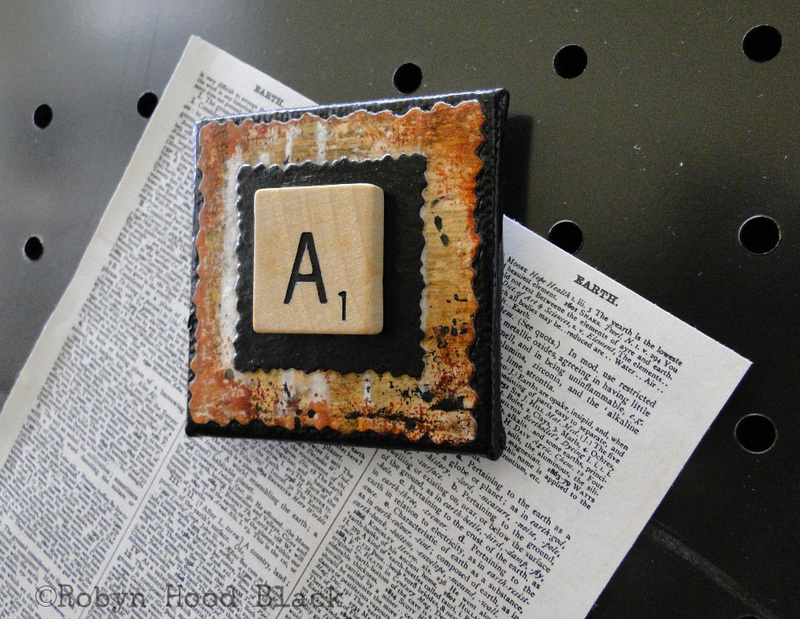 A strong ceramic disc magnet will keep that list of checked-out library books secured to the fridge! 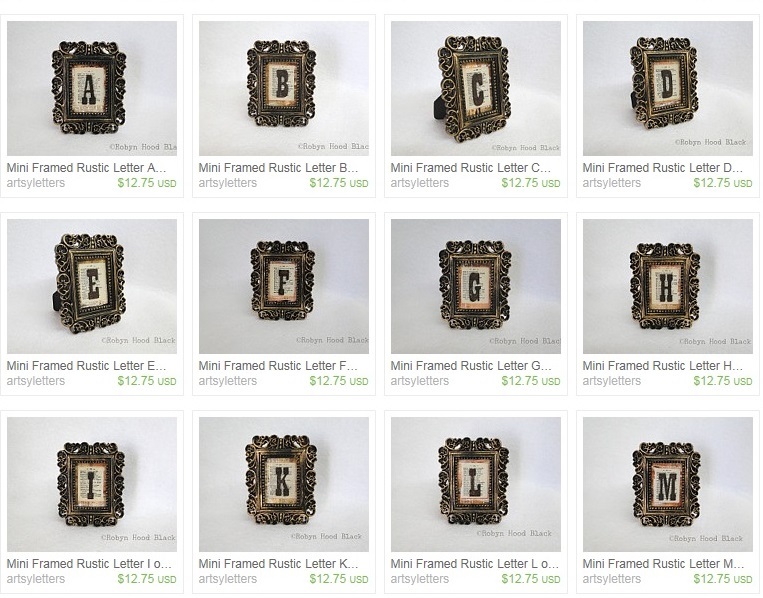 Again, give me a holler with any special letter requests if you don’t find what you need. Check soon in my “Hold it! – Magnets” section in my Etsy shop. 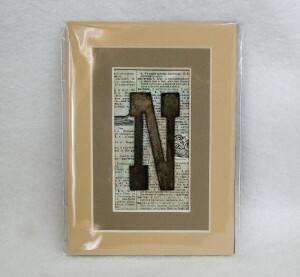 For the metal letter/dictionary page items, plus some other framed or matted letters, click on my Take A Letter section in my shop. Thanks for strolling through the alphabet with me. Happy almost-Holidays!